McGrane, Laura. “News and Material Culture in Early Modern and Restoration England: Using and Making Digital Archives ” in eds. 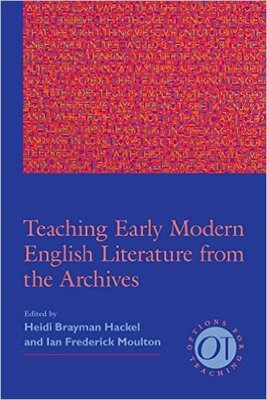 Ian Moulton and Heidi Hackel, Teaching Early Modern English Literature from the Archives (NY: MLA, 2014).